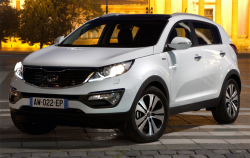 Lawsuit alleges Kia Theta engines in Kia Sorento, Optima and Sportage vehicles are defective. 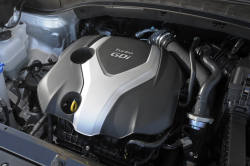 June 16, 2016 — A Kia Theta engine lawsuit has been filed concerning alleged engine problems in the 2011-2014 Kia Optima, 2011-2014 Kia Sportage and the 2012-2014 Kia Sorento. However, the plaintiffs claim more Kia models could be added later to the Theta engine class-action lawsuit. 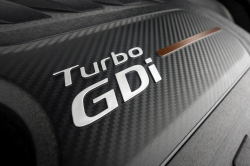 The Kia Theta engine lawsuit targets the Theta 2-liter and 2.4-liter gasoline direct injection engines, also known as GDI engines. According to the plaintiffs, the engines contain defects that cause a restriction of oil flow through the connecting rod bearings and other parts of the engines. The lawsuit alleges the defect causes stalling and complete engine failure at any time, including while driving, making the problem a serious safety hazard. In addition, the plaintiffs say the defect rears its head during or shortly after the limited warranty has expired. According to the Theta lawsuit, not only did Kia conceal that the engines are prone to failure, but the automaker concealed the defect from consumers to keep selling the vehicles. The plaintiffs say Kia has long known about the Theta engine problems yet refuses to freely repair the engines or order a recall. Even when a vehicle clearly shows symptoms of the alleged defect, Kia ignores the symptoms until enough mechanical problems have occurred to run up a big repair bill. The plaintiffs say many owners have continued to complain to Kia about the Theta engine problems but even while under warranty, the automaker fails to cover the cost for repairs. 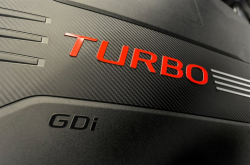 The lawsuit alleges Kia knows about the problems with Theta engines based on internal testing, owner complaints sent to Kia and to the government, messages from dealers and internal durability testing. Some of those owner complaints provide examples of the nervousness experienced by Kia owners because of the alleged engine problems. According to the plaintiffs, even with all the input about the allegedly defective engines, Kia hasn't ordered a recall to address the issue. In addition, the plaintiffs say Kia refuses to reimburse owners who paid a small fortune to repair or replace the engines. The plaintiffs claim they would not have purchased the vehicles if Kia would have been honest about the engines, or at the least the owners wouldn't have paid what they did for the vehicles. The Kia Theta engine lawsuit was filed in the U.S. District Court for the Central District of California - Greg Wallis and Jodie Peltier v. Kia Motors America, Inc. The plaintiffs are represented by McCuneWright LLP. 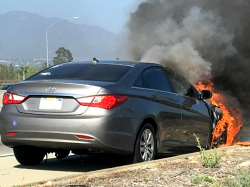 The Theta engine has previously been the focus of a class-action lawsuit except it was the Theta II engine installed in Hyundai Sonata cars. In the case that now awaits final settlement approval, the lead plaintiff sued after claiming a dealer wanted to charge $4,500 to replace the Theta II engine. 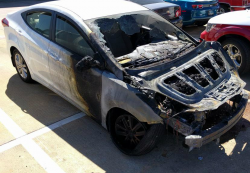 The Sonata lawsuit alleges the Theta II 2.4-liter engine can seize after the connecting rods start to fail, sending metal debris traveling throughout the engine and contaminating the oil. 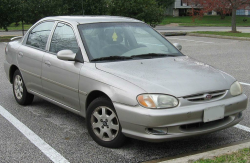 CarComplaints.com has complaints about the Kia vehicles named in the Theta engine lawsuit.